Kånken was created in 1978 to help prevent back problems among Swedish school children. Since a good habit can never develop too soon, we have also designed a children's version of our classic backpack. 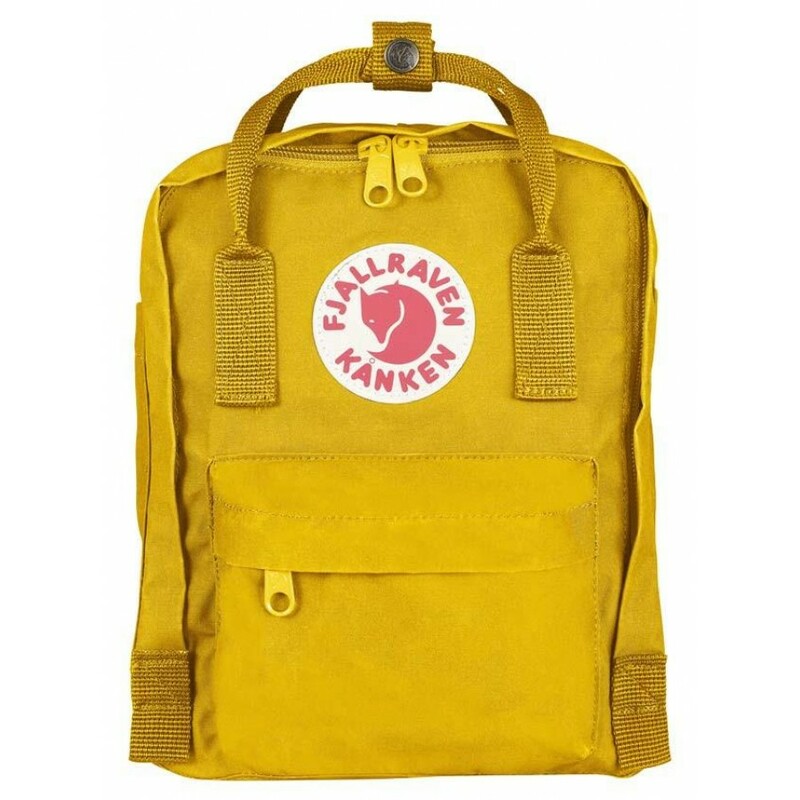 Kånken Kids has shoulder straps that are specifically tailored to the back of a small child as well as a chest strap which keeps the shoulder straps in position on small shoulders. The design allows children to carry their own packed lunch on outings, or to pack their favourite teddy bear, a change of clothes, fruit or anything else they may want to have with them during the day. The material is hard-wearing, lightweight Vinylon F fabric that is able to withstand dirt and wetness. The main compartment has a large opening with a zip, which makes it easy to pack and unpack. Two flat side pockets and a zipped pocket on the front. The included PE foam seat cushion is stored in the interior back pocket and also prevents the contents in the main compartment from poking against your back. Handles at the top and slender, adjustable shoulder straps. The logo on the front is reflective. It also has an address label inside the main compartment.